​​ FRISCO – Some development highlights of different projects throughout the city are coming soon. 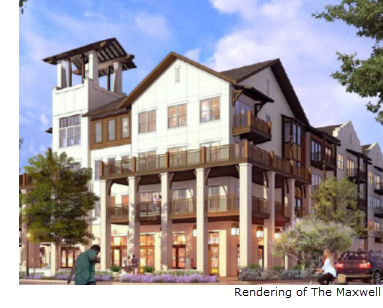 The Grove Frisco—a 735-acre residential community just south of Main St. and west of Custer Rd.—will open summer 2018. Construction will begin on Independence Crossing during summer 2018 on an 11-acre tract at the southwest corner of CR 68 and Independence Pkwy. The project is planned to include 25,000 sf of retail space and 60,000 sf of office space. The Maxwell is near completion at the intersection of Cotton Gin Rd. and Legacy Dr. The apartment development—the second and last phase of a residential development at The Canals at Grand Park—has 325 new units, and sizes range from 506-1,806 sf. ​Check out DFW Multifamily, Office, and Retail Market Research.